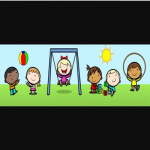 Hi my name is Tricia,i am an Ofsted Registered Childminder,i live in Horsell with my husband and 2 children both boys. My eldest was born in 2008 and my youngest in 2010. I speak fluent English,Portuguese and Spanish. I am a mum of two and have always done babysitting for friends and family. Below are the latest reviews for Tricia. Please note that reviews represent the subjective opinions of other Childcare.co.uk users and not of Childcare.co.uk. Parents must carry out their own checks and references on childcare providers to ensure that they are completely happy before enaging in the use of their services. Tricia has looked after our children for the past 6 years. She is a Loving Caring and very Professional Lady, our Children Adore her. Tricia always goes the extra mile to accommodate the Children and Parent Requirements. We are very grateful we found Tricia and her lovely Family and wouldn’t hesitate in recommending her. My daughter has been with Tricia for 1.5 years now since she was one. She leant to crawl, walk, eat and talk with Tricia. Frequently I need to drop her off early or pick her up late and Tricia has been great to make changes for me. Very good daily and weekly routine, they spend a lot time going out to playground and into the wild. My little one is always happy there. Tricia has looked after my boy since he was 7 months old up to Reception. He learned to crawl, walk and talk with her. I could not have wished to have a better person to look after my boy. Tricia is very attentive and caring and has taught my son to be polite and well behaved. I have not had any issues with communication and agreeing terms and changes in childcare, the setting has always been clean and tidy. It has been only a pleasure to deal with her, I have been very lucky to find Tricia 4 years ago. Kids are just happy there, my daughter (9y) has loved to stay at Tricia when we needed an urgent short term cover. Patricia has been looking after our children for years. Patricia is a very calm very professional and above all our children absolutely adore her! We know that with Patricia they are safe well cared for and they have bundles of fun. Patricia is an excellent Childminder and we wish her all the very best.